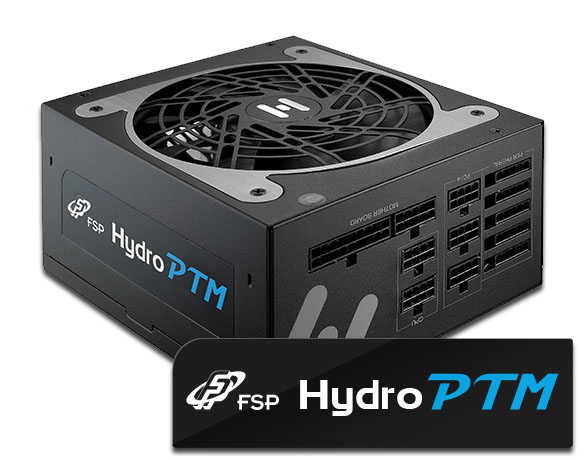 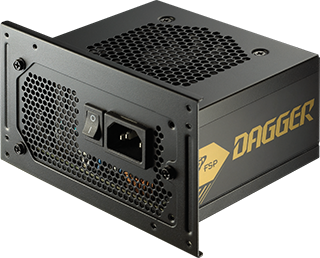 Dagger Series, FSP brand new 80 PLUS® gold SFX PSU, featured with fully- modular, flat ribbon cables and DC to DC module design in a compact size which is suitable for small pc host machines, such as VR systems, Micro ATX systems, home media. 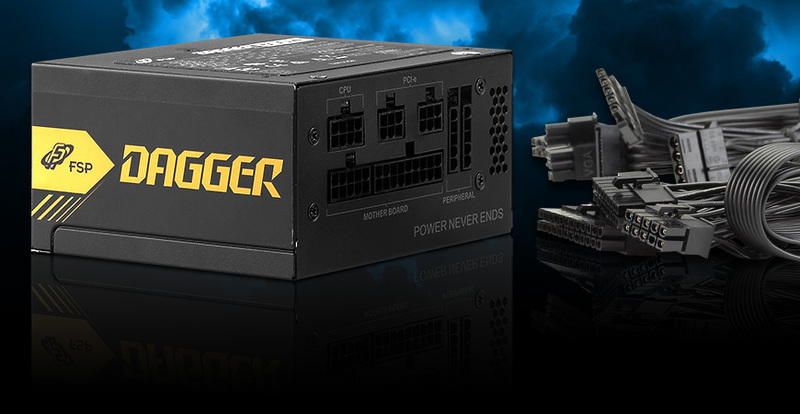 Dagger Series comes out with two models – 500W and 600W,their power density are 2 times higher than normal ATX PSU’s providing better power performance. 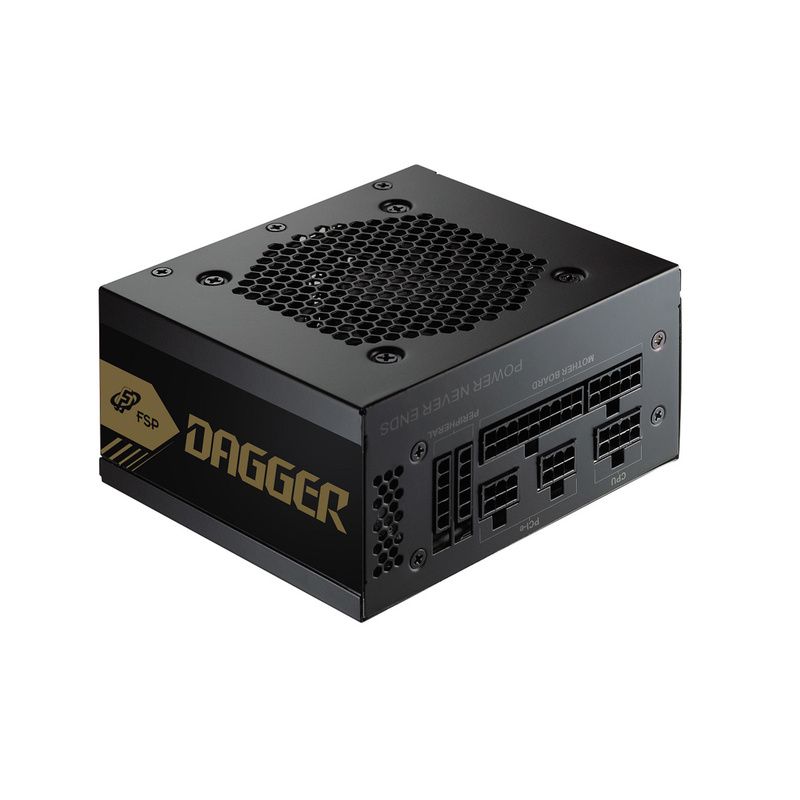 The Dagger series is compatible with most Mini-ITX and Micro ATX small form factor PCs. 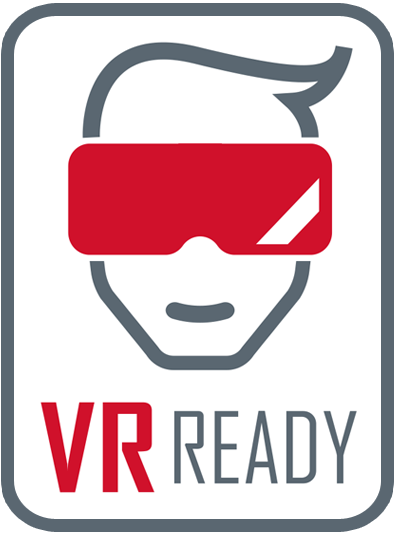 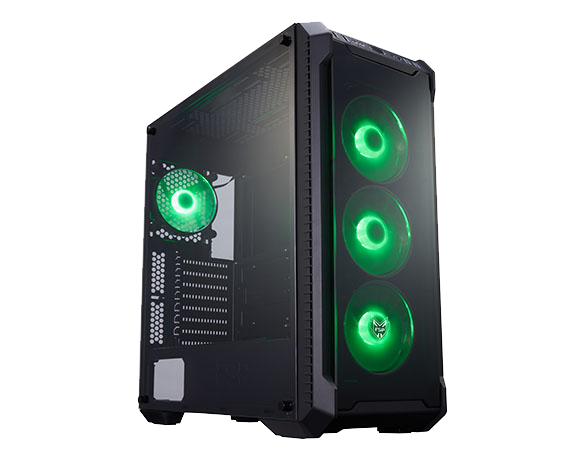 It is ideal for the living room PCs, and an alternative option for gamers. 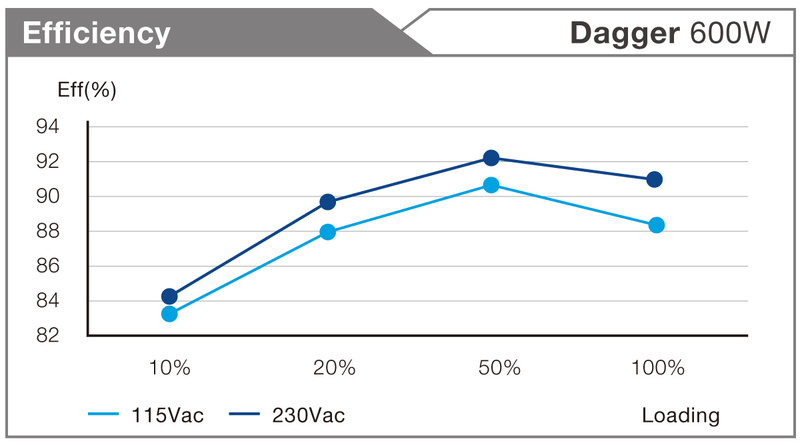 Dagger Series are 80 PLUS Gold certified power supply units that guarantee to operate at a minimum of 90% efficiency at 50% load of PSU rated power and as a result to reduce lots of electricity cost. 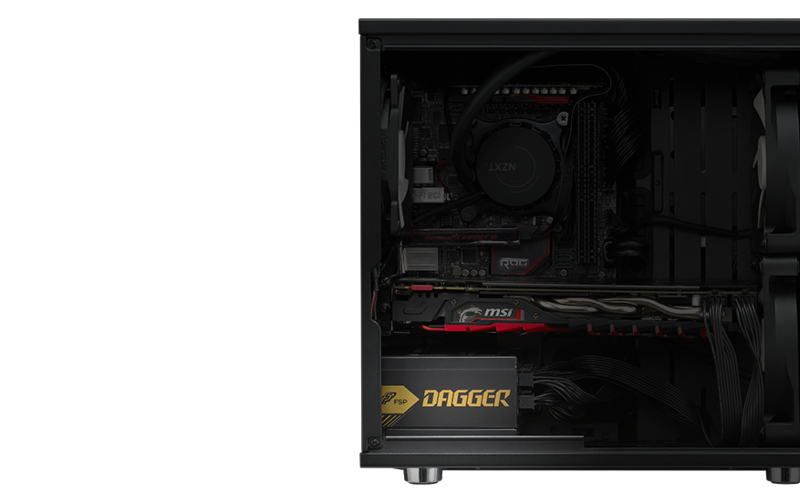 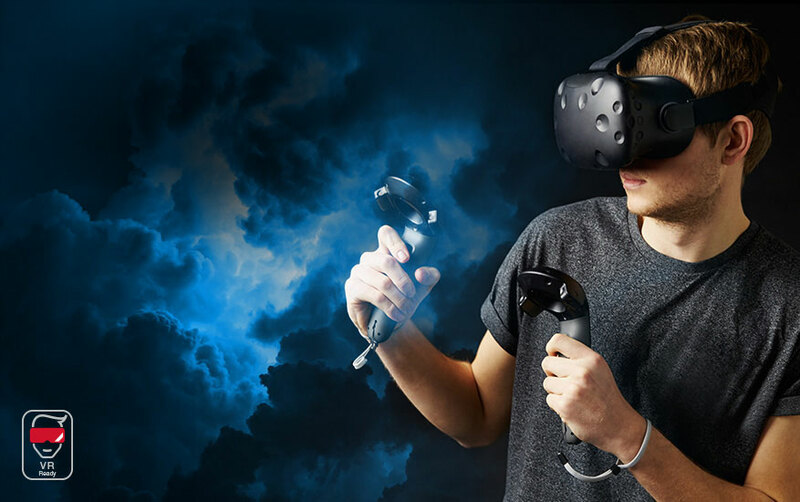 By taking high efficient LLC topology, high level server grade PCB and DC to DC module design, Dagger series can give gamer an ultimate entertainment experience. 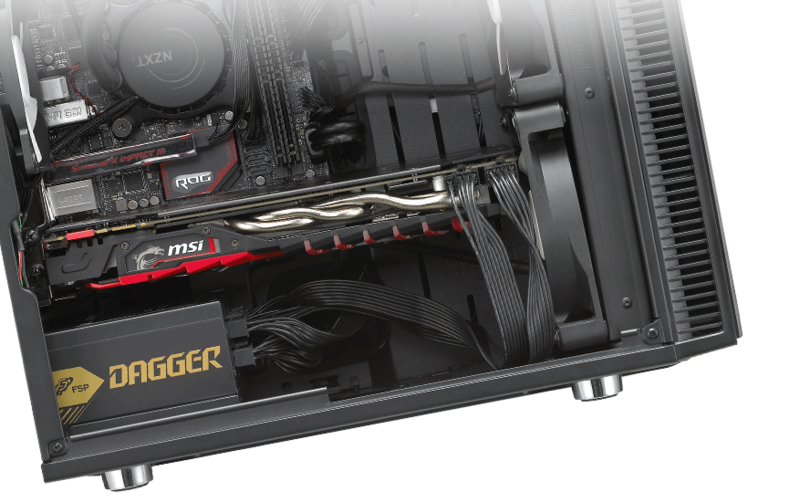 By taking high efficient LLC topology, high level server grade PCB and DC to DC modules design, dagger series can give gamer an ultimate entertainment experience. 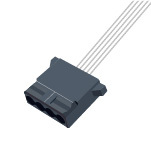 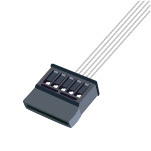 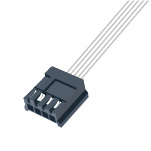 Fully- modular, flat ribbon cables provide easier installation. 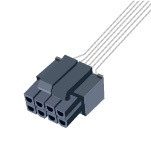 Its parallel wires, an ideal solution for applications with space constraint issues, enhance overall airflow performance cooler and fewer heat insides letting components’ product lives longer. 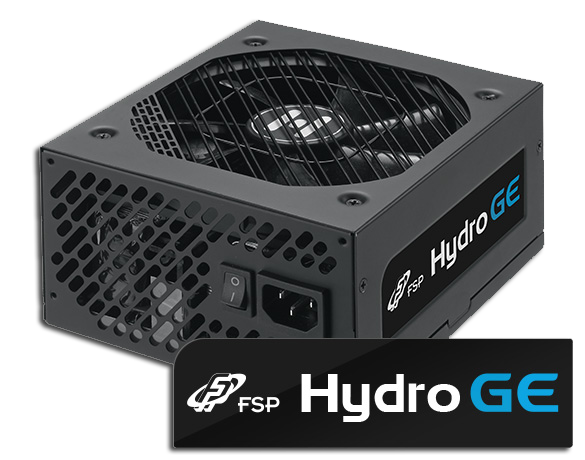 Featured with high power density, twice higher than the one of an ATX PSU in same wattage. 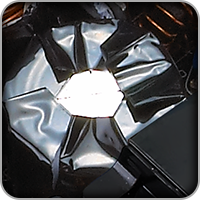 105 °C Japanese-made Capacitor and Solid Capacitor, makes prolonged life span possible. 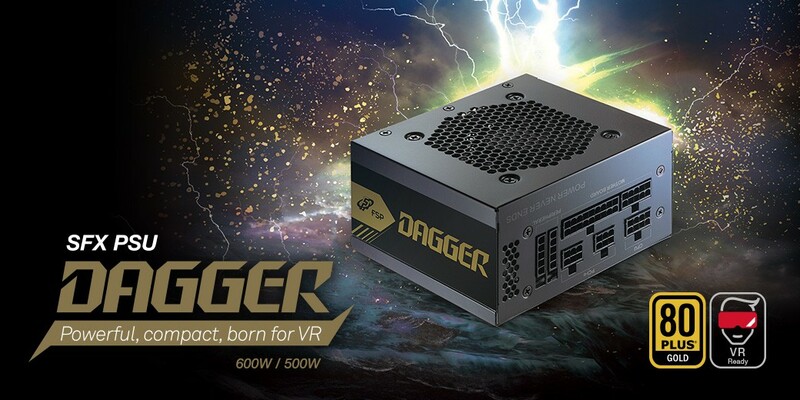 Comparing traditional welding method, Dagger series take copper bar to connect mainboard and daughter board together so that to enhance conversion efficiency. Like all FSP SFX PSU, Dagger series also equipped with a bracket for easy fitting into standard PS2 ATX case. 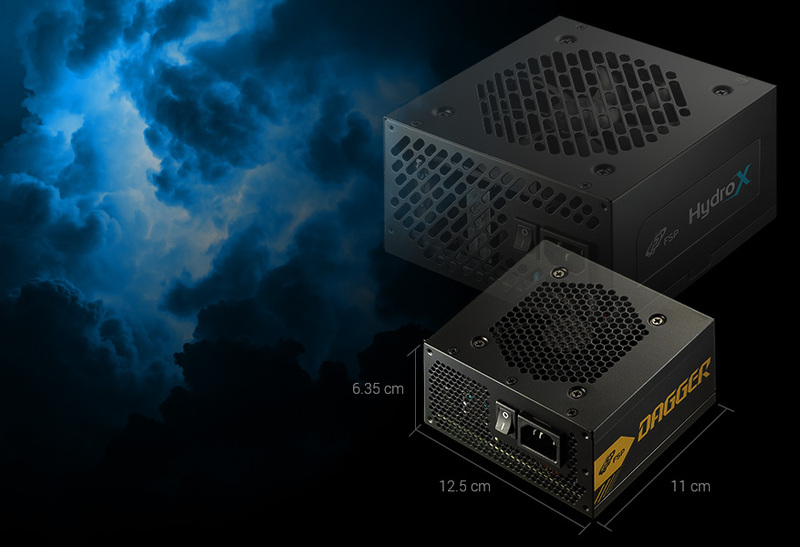 En effet, fabriquer une bonne alimentation ATX fiable et stable au niveau des tensions passe encore mais le réaliser dans un espace plus réduit qu’est le format SFX rend l’opération plus compliquée. 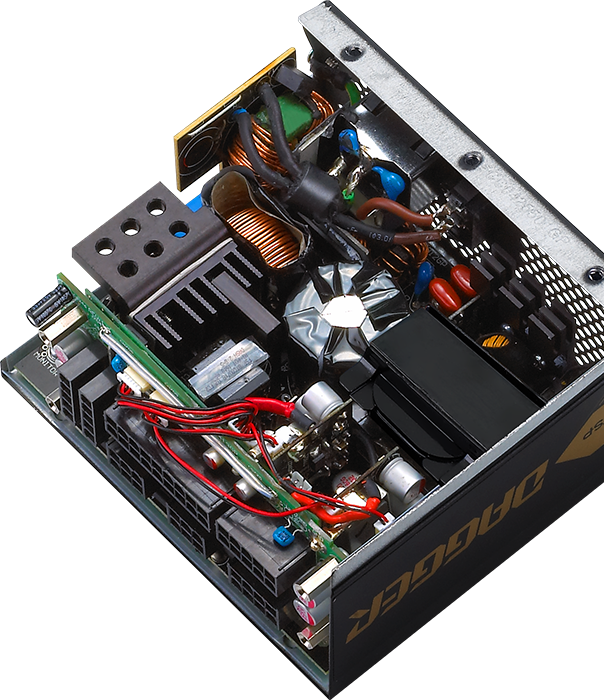 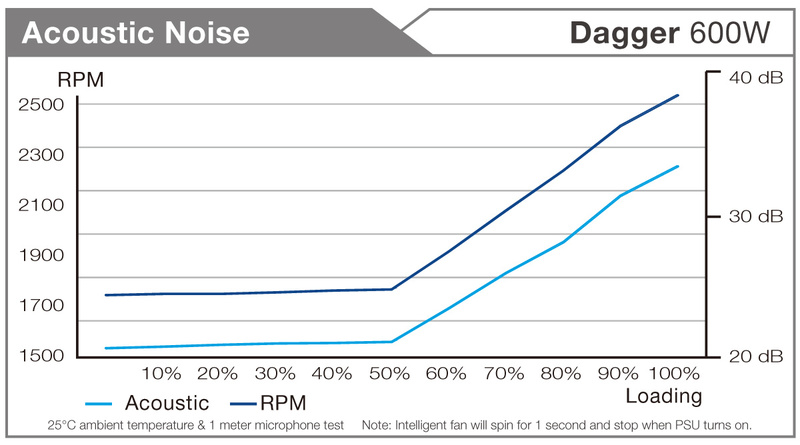 The Dagger 600W is a good SFX power supply and a reasonable price, which offers an acceptable performance and silence operation. The cables are completely black and flat, ideal for small size systems. 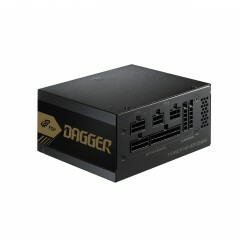 Dagger 시리즈는 LLC 공진회로과 함께 서버급 PCB 및 DC to DC 모듈 디자인을 채택하여 12V 단일 출력이 100%까지 가능합니다. 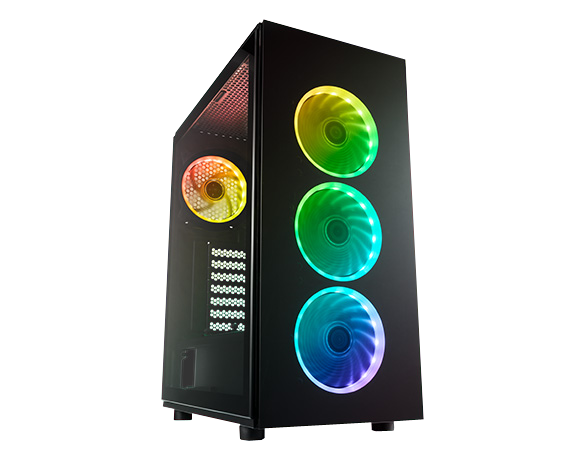 퍼포먼스 이상급 게이밍 PC 구성시 부족함이 없습니다. 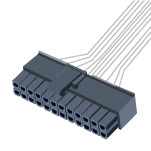 작은 케이스 공간을 활용하여 높은 게이밍 환경을 구성하고픈 사용자에게는 적합하다고 할 수 있겠네요. 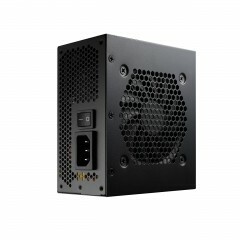 ITX & M-ATX 메인보드를 활용한 미니타워 시스템에 안성맞춤입니다. 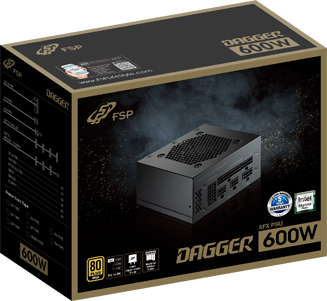 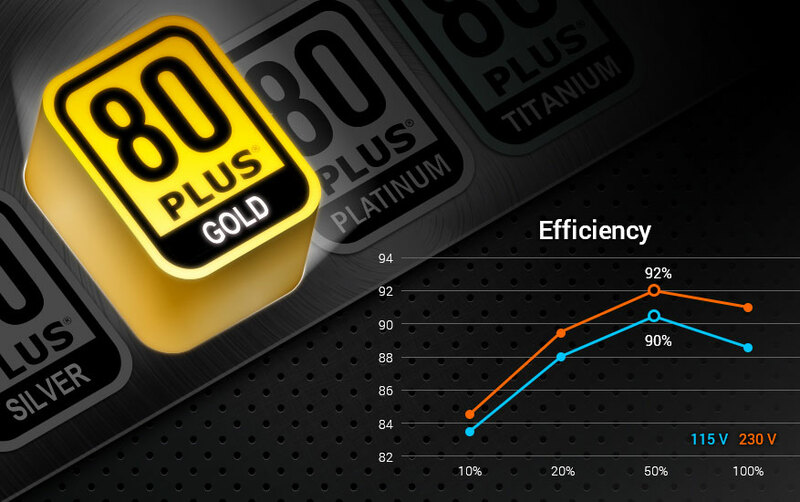 FSP DAGGER 600W SFX 80PLUS GOLD 제품은 80PLUS GOLD등급의 효율에 좋은 전압 변동 억제력과 크기가 작은 SFX 규격임에도 불구하고 비교적 낮은 온도를 보여주었다. 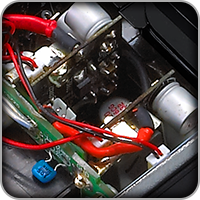 다만 인텔 파워 서플라이 디자인 가이드에 마련된 기준치 내에는 들었지만 +12V, +5V 에 비해 기준치 커트라인에 근접하는 다소 높은 +3.3V 의 리플&노이즈는 아쉽다고 할 수 있다.